I’m not a fan of the phrase ‘non-negotiables’, to me this feels like a very draconian approach to setting and maintaining standards, which ironically are non-negotiable! 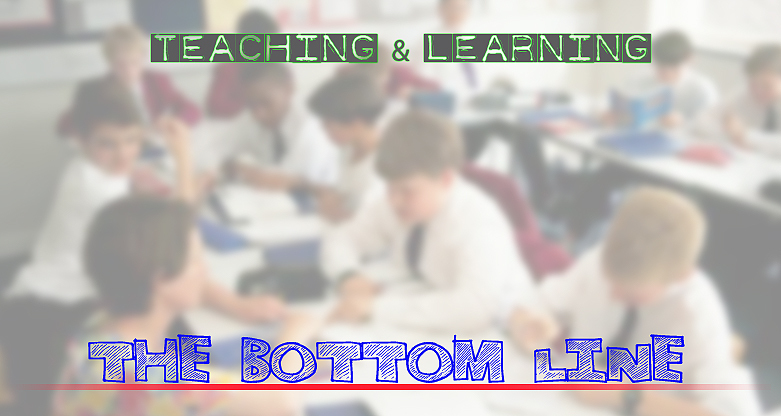 Following on from my recent blog Keeping Your Eye On The Ball: Core Business this is about creating the bottom line, the minimum we expect from every teacher in every lesson, consistently. One that we all sign up to therefore providing a platform to move beyond outstanding. 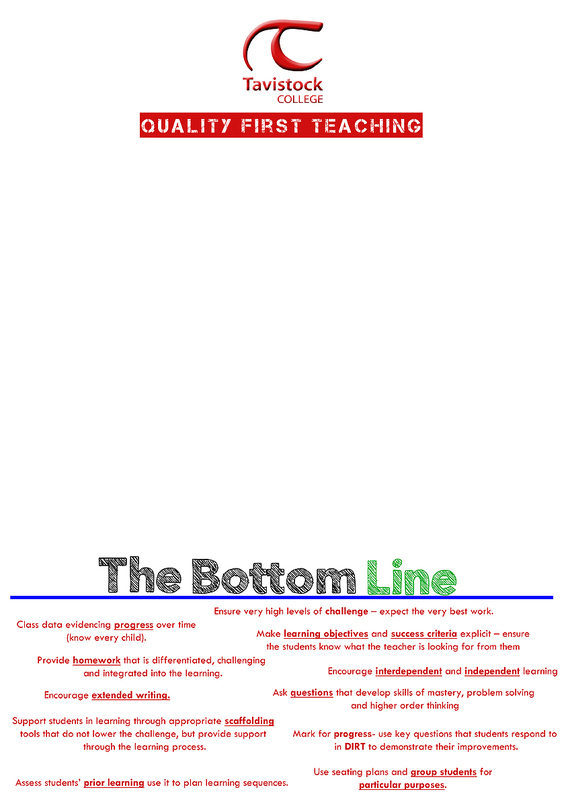 The difficulty here is maintaining equity, equality and solidarity without over-prescribing what a lesson should look like, and therefore regressing into a culture of tick boxes, checkups and closed doors to every classroom – all that was wrong with teaching and learning in the first place! I’d like to hear any additions you may have that will enhance our bottom line. Provide the BIG picture… Why we’re doing it? I find if students can see the relevance and purpose behind what they’re learning they are more likely to buy into it.